The only thing more dangerous than a small Goblin army is a Goblin horde. 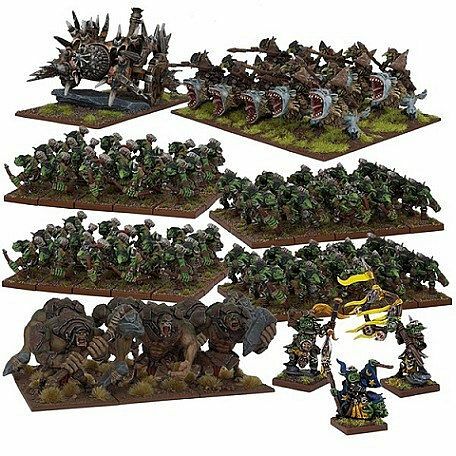 When a Biggit gets important enough to rally this many Goblins to his banner, he becomes a force to be reckoned with, their numbers serving to offset their natural cowardice as well as overwhelm the enemy under a swarming tide of vicious, stabby little bodies. Køb Goblins: Goblin Mega Army (100 miniatures) - MGKWG107 her hos Kelz0r.dk // Hacknslash - altid et stort udvalg og lave priser!